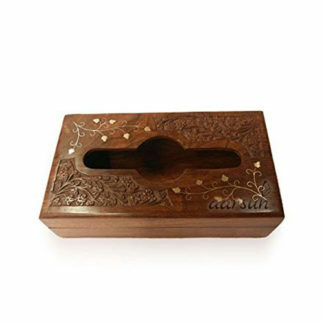 Aarsun Woods offers to you beautiful Post office shape hand made wooden coin box in Sheesham Wood made by skilled artisans with brass, a must have product for kids as Piggy bank also teaches kids value of money and saving it for future. This comes with a nice brass inlay work in it with Bank word written. 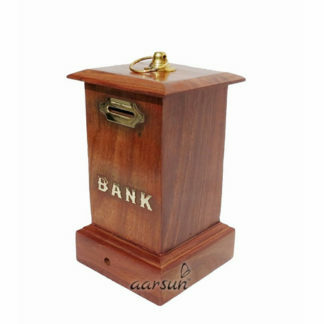 Please note – to close the piggy bank, a metal clip is provided below the piggy bank and there is no other kind of lock facility provided there.